Team Italy will be arriving in Vancouver the evening before practice at the Hillcrest Stadium, venue of the 2009 World Championships. 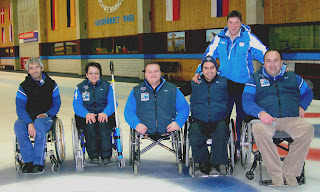 The team includes the players who lost a tie-breaker to the USA last year for a semi-final spot, and skip Andrea Tabanelli and third Egidio Marchese played at the Torino Paralympics. Draw 9 preview - Can Canada maintain momentum? OK, OK, so who's going to win the 2009 Worlds? Would you break your toe just to curl better?